Earn $29.92 in Rewards credit (2992 points) What's This? The ultimate blend of performance and durability. 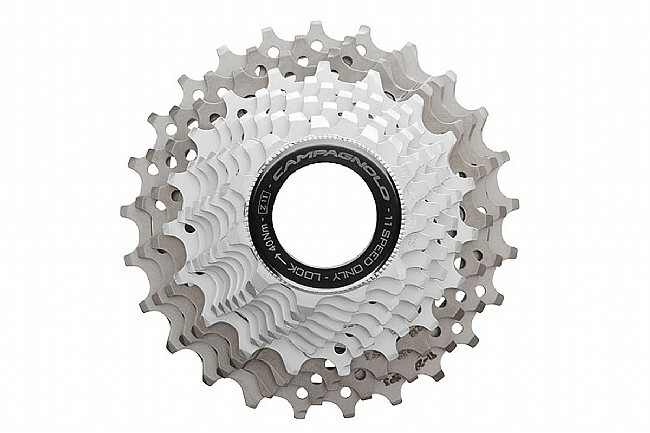 Campagnolo's Record 11 Cassette uses Titanium for its three largest cogs and steel for its eight smaller cogs, keeping the weight low without giving up strength. A single carrier holds the three largest sprockets further reducing weight and offering even stiffer performance. Updated precision machined tooth profiles ensure flawless interaction between all Record 11 drivetrain components. Includes alloy lockring.